Dishing The Scoop on Our Fabulous #DineFest Experience @ The Popular Chatter House! Craving some good ol’ pub vibes in the city? 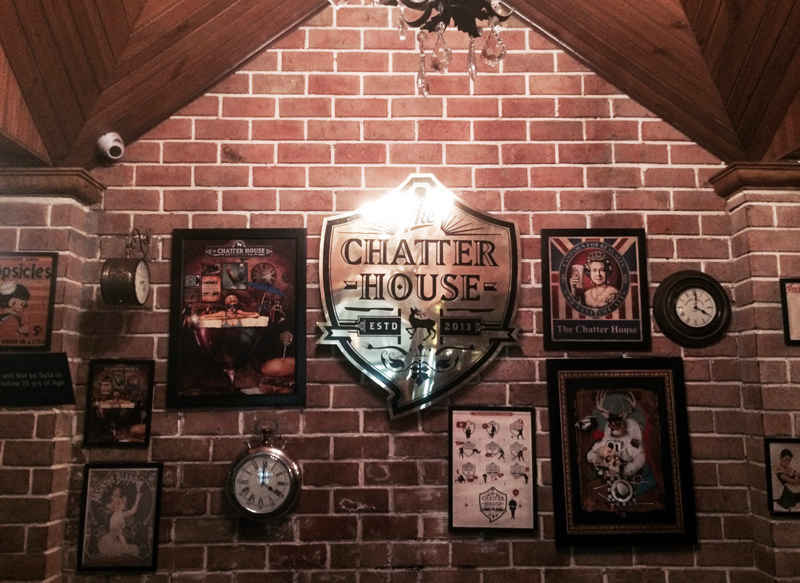 Those warm, wooden and cozy vibes can now be found very near you - just head over to The Chatter House in Nehru Place: a European pub-bistro influenced by the English watering holes of yore, where you can spend a lot of time eating, drinking, listening to some good rock ’n’ roll, or just playing a game of foosball! Located in the bustling eatery-infested area of Epicuria, The Chatter House provides solace with its ambience, its wood and brick interiors and its friendly service. The folks over at The Chatter House serve a multi-cuisine menu, with emphasis on European food, although they have a seasonal change in their staple menu for the different seasons. They also offer a wide variety of beer and Signature Cocktails which are their specialties, with a story behind every cocktail and its inception. In addition to their pre-fixed menus, they’re participating in an event called ‘The Dine Fest’, a culinary experience celebrated by more than 30 restaurants across Delhi, Mumbai and Bangalore, in which restaurants are experimenting with interesting concepts in the informal dining space and providing a three-course gourmet dining experience to their customers, at a fraction of al a carte rates. Cool! 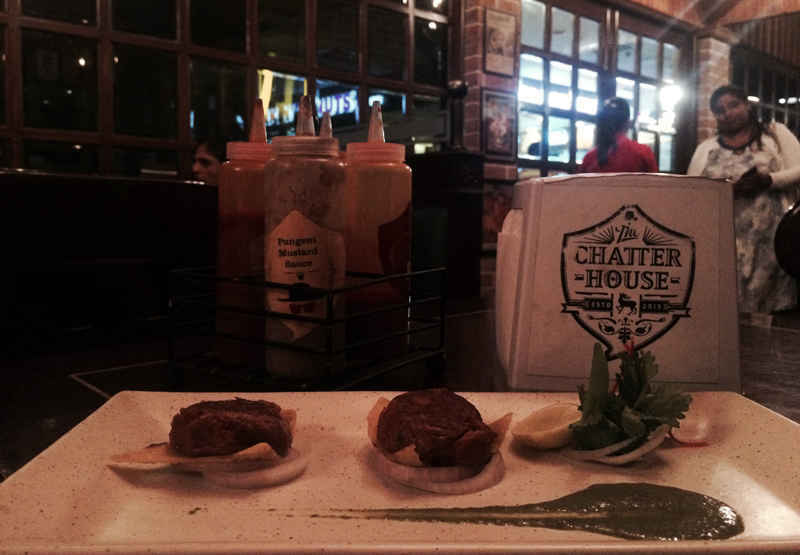 The pre-fixed menu at The Chatter House has plenty of food options to satisfy both your meaty and your non-meaty urges. So how it works is this: you have to chose a starter, a main course and a dessert from the options they provide you and voila - your gourmet experience will begin! After an eventful sundowner bloggers’ meet at the pub-bistro, here are our suggestions for what to order to make your #DineFest experience more memorable! Now these are a must try for all you seafood lovers! Made with fresh prawns (oh yes, they’re hard to find) sautéed with tomatoes, paprika and parmesan, these make for a perfect finger food to satisfy you while you sip on some good ol’ brew. This one’s a bold dish, with a braised pork belly and prawns drizzled liberally with sweet chilly sauce! The combination somehow comes together into something truly mouthwatering and needless to say, we gobbled up every last bite! 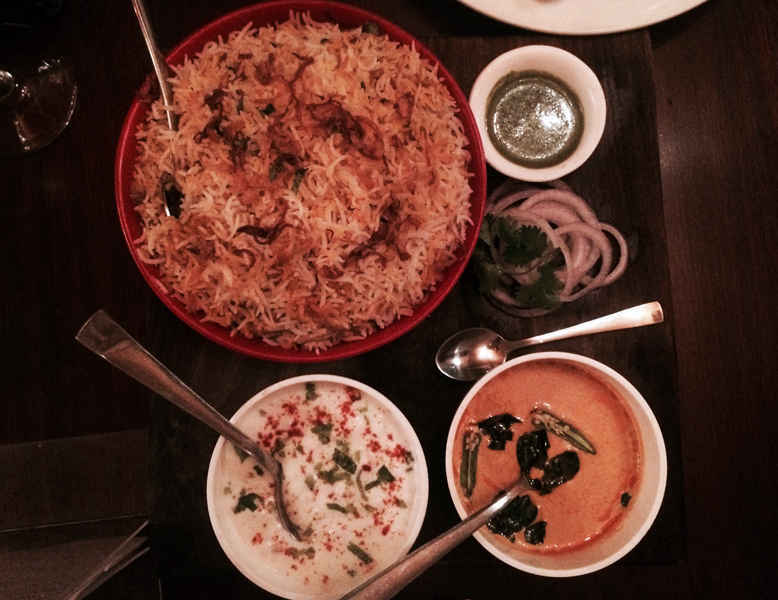 Quite authentic, this Hyderabadi biryani is a good blend of all the traditional Indian spices, as well as infused with the subtle taste of kesar and fried onions. It was served up to us with spicy Mirchi ka Salan and Raita. Yum yum! With a sumptuous thin crust home-made base, sun dried tomatoes, grilled chicken and pesto sauce, this pizza is perfect for post food/drink binging. 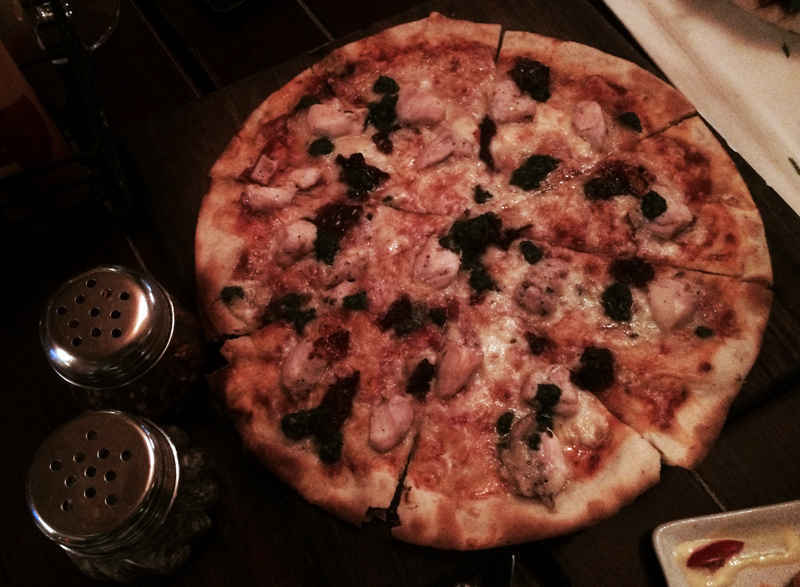 We happily sopped up our boozy cocktails with this yummy pizza and had the time of our lives! Crunchy, homemade tortillas topped with kidney beans, peppers, salsa and sour cream, their Tostadas are a delicious start to any food extravaganza! They also make for perfect finger-food to go with your drink, just FYI. Might sound like a funky combination, but the two distinct flavors blend together flawlessly! 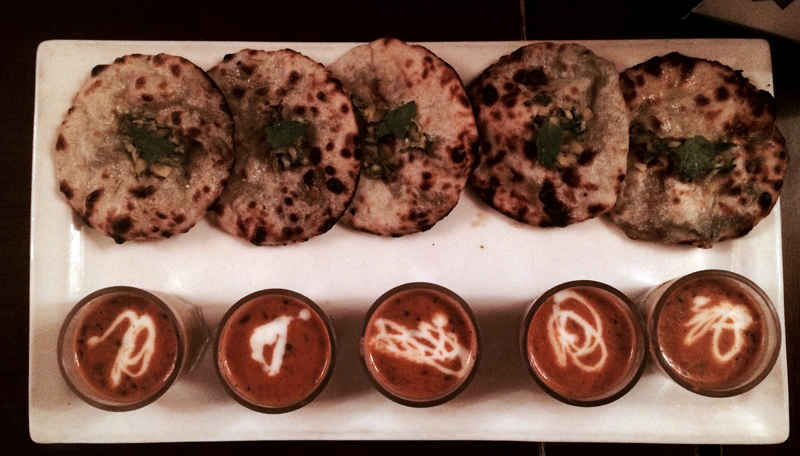 As the name suggests, this one’s a naan stuffed with blue cheese and slathered with Amul butter on top, served with shots of daal makhani, which according to us is just brilliantly made. Go indulge! Made from fresh hung yogurt, these kebabs are lightly fried and have a somewhat garlic-y, lightly spiced flavor and are served with refreshing mint chutney. Dahi Kebabs being our favorite, we happily devoured this dish! How could we ever say no to these, like ever? As for how Galouti Kebabs go, the ones over at The Chatter House are absolutely delicious and the best bit - they are served with ‘Ulte Tawe Ka Paratha’ and Chutney. A full meal in itself, this one! Topped with asparagus, baby corn, bell peppers, mushrooms, zucchini and olives - this one’s a real veggie paradise with its fresh homemade thin crust base. Needless to say, the crust was perfectly crumbly, the veggies were fresh and crunchy and the taste was spectacular! For desserts, we were regaled with an Apple Crumble topped with granola and served with creamy vanilla ice-cream. The flavor of the apple is both sweet and sour, which is exactly how every apple crumble should be! They also serve up a mean Gooey Chocolate Cake with coffee ice-cream. Both desserts are highly recommended by us, that is, if you have space in your tummy after all the delicious food you’d already have eaten. 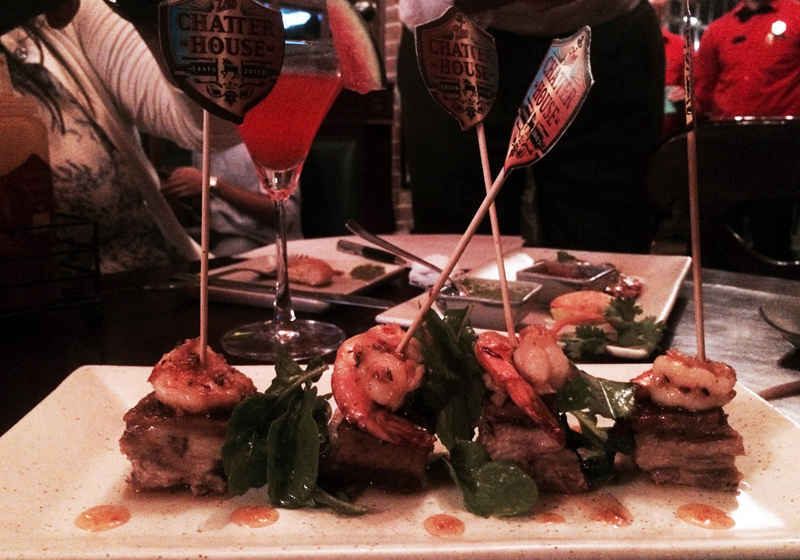 All we’ll say is - come enjoy this exclusive gourmet experience at The Chatter House! The pre-fixed menu, both for lunch and dinner will be provided for Rs. 600 (not inclusive of taxes or additional drinks bought.) It’s an amazing deal and you should definitely take advantage of it! Reach there before 21st August!